Elastic is available on spool for you to use in your own custom application. 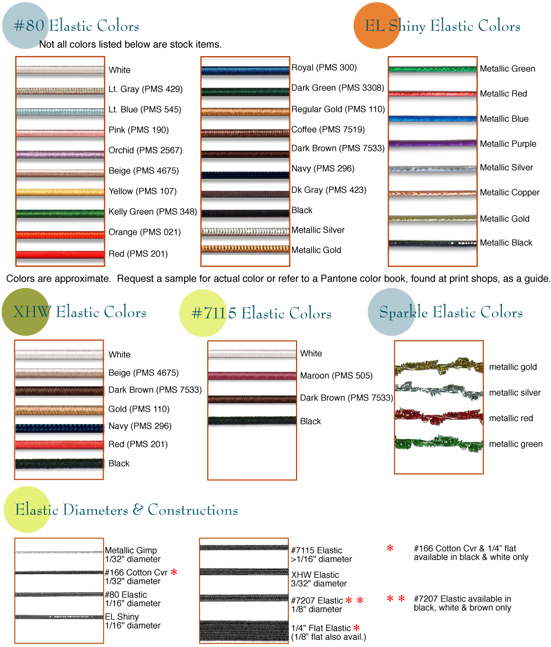 Spooled elastics include round elastic, flat elastic, and elastic gimps. 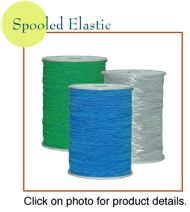 See "product details" for spool put-up for each elastic size listed. Additional sizes are available. Contact customer service at 800-858-6966 for details.